This will definitely be a match made in heaven! If you and your special someone are hiding inside with Netflix and UberEats every weekend – you’re either extremely comfortable or unfortunately you’ve run out of date night ideas. You can feel like the next Vincent van Gogh or even Picasso at Cork and Canvas… we assure you that after a few glasses of your favourite red, you’ll convince yourself that you are. Cork and Canvas has revolutionised date night. 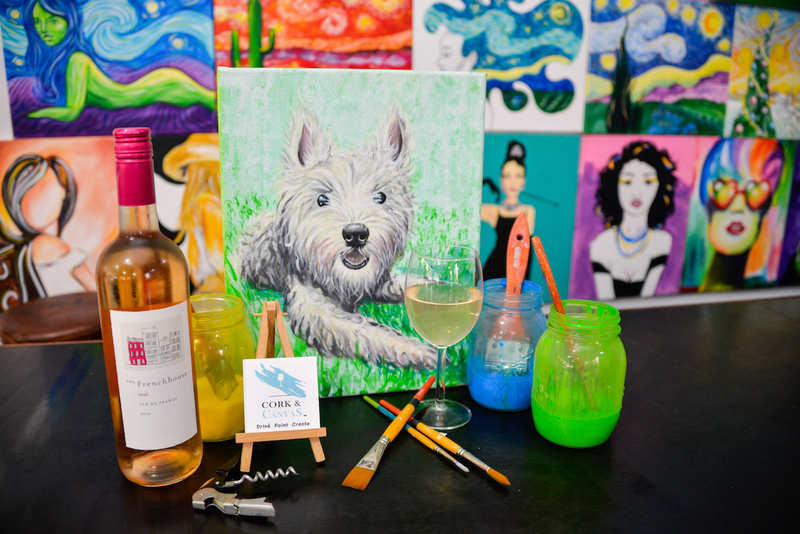 Guests can choose to paint their pet, a starry night, a Banksy spin off, plus many more. Whether you paint with your special someone, a best friend or even by yourself – you’ll be brushing to get back! Thank you to REBECCA MARGO of HUNTER AND BLIGH for her article for naming Cork and Canvas in the Top 10 Date Night Activities.